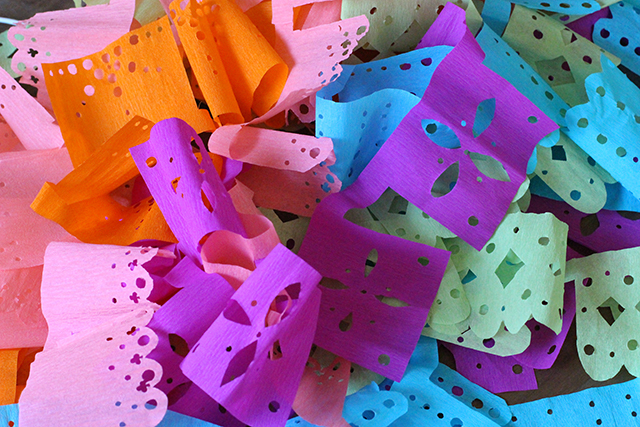 I’m obsessed with papel picado. Not only are they incredibly festive and beautiful, in their wide range of vibrant colors, but it’s amazing how intricate and detailed some of the designs can be – especially the traditional versions which are completely made by hand with only a handful of finely sharpened chisels. 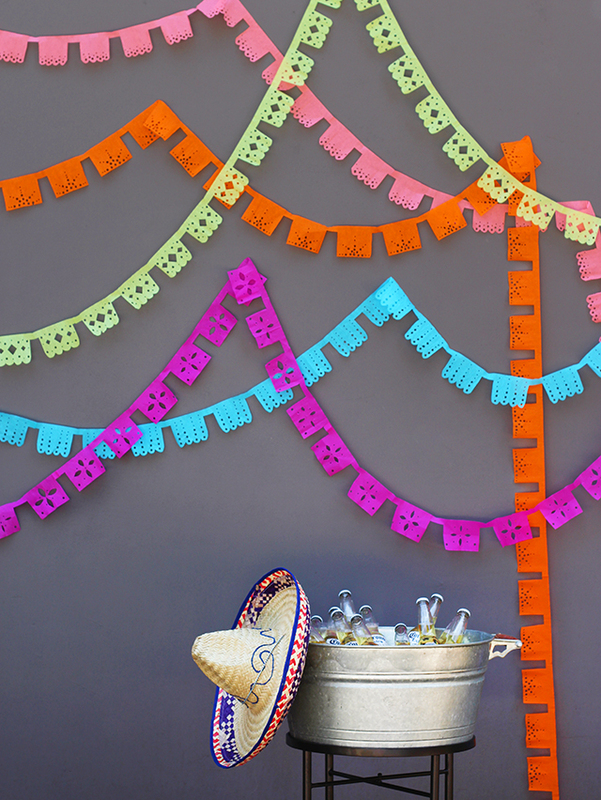 So with Cinco de Mayo just around the corner, I thought what better excuse than to DIY my own mini version with the leftover crepe paper from last year’s piñata? 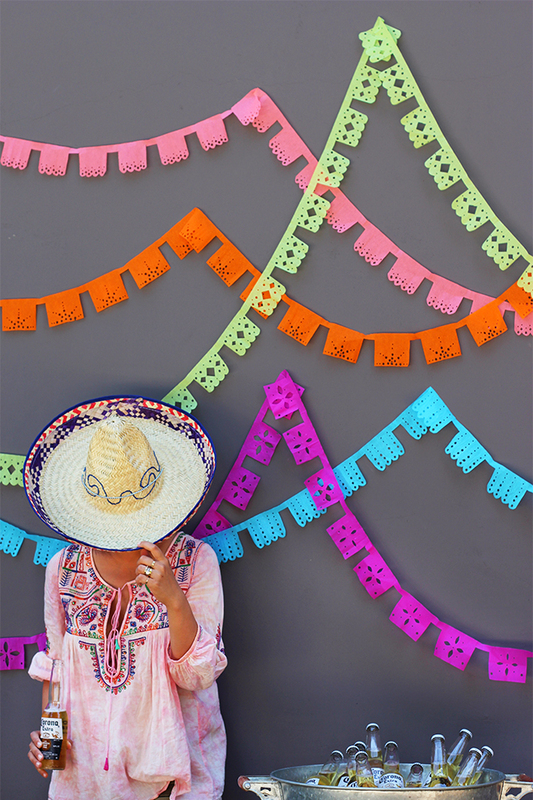 They aren’t nearly as ornate and elaborate as the kinds you can purchase but these mini “banderitas” are handmade, fun to make and easy to whip up on a whim. And I love them nonetheless. 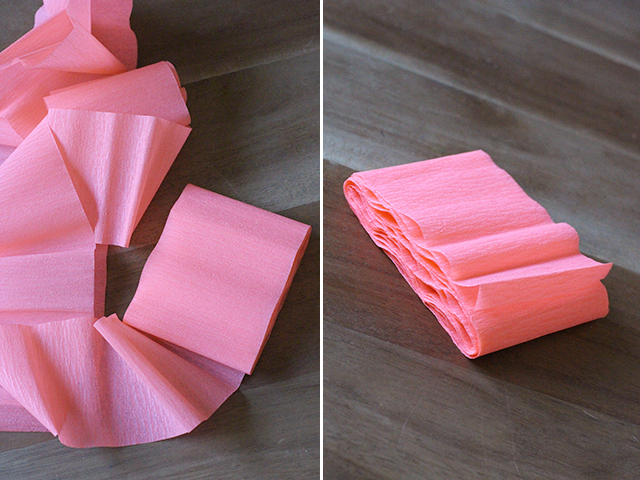 Start by cutting rolls of crepe paper into sections to create 3 inch wide ribbons. 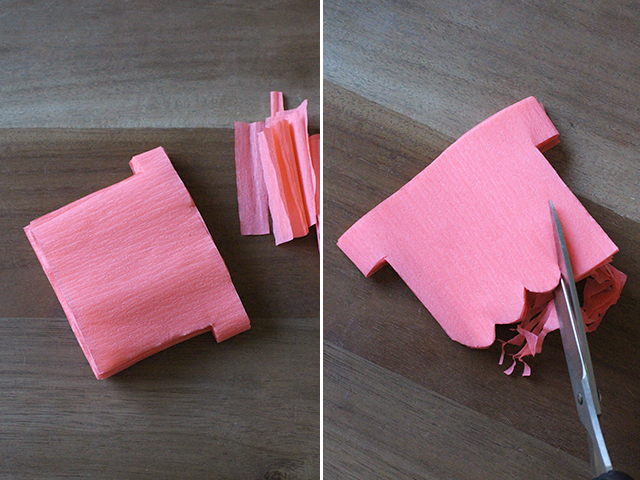 Cut each length in half and fold every 4 inches. Trim away any excess. You will end up with a bundle that measures 3 inches by 4 inches with about 10-12 folds. Cut a small, rectangular section out of each folded side but leave the top attached so the bundle looks resembles the shape of a tshirt. Add shape by cutting a scalloped edge along the bottom. 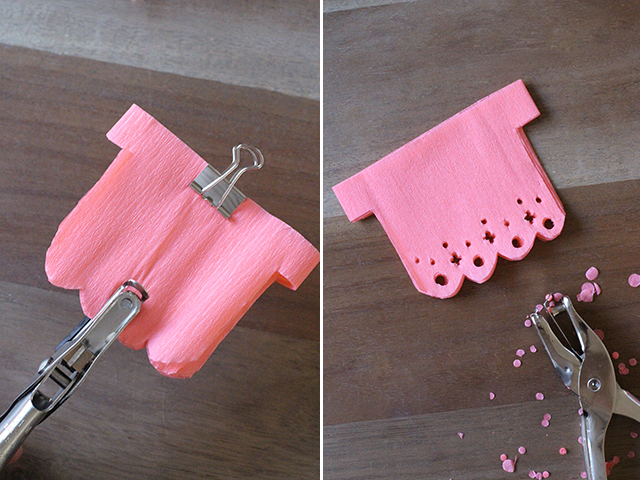 Use a couple of hold punches to cut out patterns. You can use a binder clip to help keep all the sheets aligned. Open the bundles apart and connect the segments with clear tape to make each streamer longer if necessary. Hang and enjoy! Just spent the evening crafting these for my daughter’s birthday – so excited! (Also I used crepe paper streamer rolls because I’m apparently bad at reading directions, but it worked great!). Thanks! I am Spanish Teacher and I will use this method for decorating instead of purchasing them online for almost $30.00. On another note, your blouse is beautiful, where did you get it? Thanks again! I am making these for my fiesta themed birthday later this month! I can’t wait. Thanks for the east tutorial! Also, where is that shirt from? WHERE IS THAT BEAUTEOUS TOP FROM!!!!????? You make it look so easy! I love it! sorry, i have to ask! where is that amazing top from? Now here’s a craft I could probably actually handle! Wow I am so impressed, I can not believe that those beautiful banners came from streamers. Such a great diy for the weekend!